I was checking out Ray Impanis as I understand that he has the record for Paris-Roubaix finishes (sixteen). Since last Sunday he has been sharing the record with Servais Knaven. Both riders won the race on one occasion. There is a race in honour of Impanis and between 1982 and 1994 it was contested by pros. As you can see it was mainly a Flemish/Dutch benefit but remarkably of the thirteen events three were won by Aussies which is a great strike rate when you consider that a Frenchman has never stood on the podium. 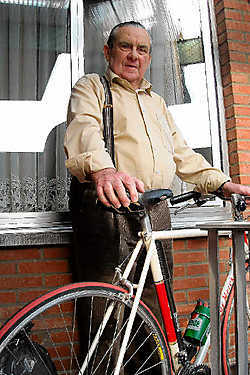 Impanis is now aged 84 and still riding his bike. G.P. Raymond Impanis – Pros.